This comment really boils down to what is the difference between these numbers and how do I handle it? So, let’s dig into this. First, let’s look at the basics. Scroll to the bottom if you just want to see my recommendations. What VMFS capacity means. At the basic level, VMFS capacity is tracked by looking at how much is logically allocated on the VMFS. This has nothing to directly do with how much the guests have actually written, or really even what has been zeroed. In short–how many blocks have been allocated by a virtual disk (also including ISOs, VMX files etc–but generally the vast majority of this space is comprised of VMDKs and swap files). What is actually reserved depends on what types of virtual disks you are using as well. If it is thick (EZT or ZT), it will reserve all of the space, if it is thin it will only reserve/allocate what the guest has actually written to. So using thick type virtual disks will fill up your VMFS faster as all of that space is allocated immediately, with thin, the filling is more gradual as space is only allocated as the guest needs it. Okay, now that we understand how VMFS tracks space, how does the FlashArray track it for a particular volume? Well there are a couple things that are tracked (unique space, snapshots), but let’s look at unique space. The below is a screenshot of the capacity of the volume hosting the previously mentioned VMFS. The usage under the “volumes” label is what the FlashArray reports as unique space for that volume. So how much is “used” by the data stored on that volume. In the case above, the volume is uniquely using using 102 GB on the FlashArray. So what does uniquely mean? After compression and deduplication how much capacity is that volume consuming from the FlashArray that is not shared with any other volume. So what does each volume now have for unique space? So “vol1” has some internal dedupe, it has the block 1101 twice, so that will be reduced to just one instance. The volume “vol2” does not have any internal dedupe–all three blocks it wrote are different. But both “vol1” and “vol2” have the block 1110. So that will be only stored once. Now how is it accounted for? The unique volume used capacity of “vol1” will be a total of two blocks: 1001 and 1101. The other volume, “vol2” will also have a unique volume used capacity with a total of two blocks as well. 1100 and 0111.
Who then accounts for the 1110 block? Neither volume. (the two identical 1110s are reduced to one instance). So the unique footprint of “vol1” changed due to something that the volume has nothing to do with–the dataset of a different volume. It just so happened that the second volume wrote some data that happened to dedupe with something the first volume already stored. This used capacity has just as much to do with what the host wrote to it, as what hosts have written to other volumes. It should not be a metric that you use to decide when to increase the size of a volume or when you should add a new volume. NOTE: This behavior might change with other AFAs, so refer to your vendor. Also our actual dedupe engine is far more sophisticated than this, but this shows how conceptually the reporting occurs. So let’s loop this back to VMFS. Okay, so now that we understand how VMFS tracks data and how the FlashArray tracks used data for a volume. So how does this change monitoring in VMware? Well, really it doesn’t. Who cares what the volume unique spaces says–what matters is what the file system reports as used (in this case, VMFS). The FlashArray just takes that footprint and reduces it as much as possible. The data set is reducing well! Yay! It is what it is. The data set is not reducing well. Oh well. It is what it is. There is dead space and you should run VMFS UNMAP. Let’s do it! A mixture of all three. Let’s run VMFS UNMAP and see if we get space back! FlashArray reports the volume uses 30 GB and VMFS reports 90 GB. This means you have a lot of allocated space that reduces very well–that 90 GB has been either reduced internally in the volume or with data from other volumes. If you need to allocate more VMs or you are getting VMFS capacity alerts and you want them to go away, all that can be done is VMFS can be grown or you can create a new VMFS or you can delete/move some VMs off. FlashArray reports the volume uses 90 GB and VMFS reports 30 GB. This means you have dead space and need to run VMFS UNMAP most likely if you want the FlashArray reporting to correct itself. But you can still grow VMs or allocate new VMs because VMFS will just overwrite the dead space. UNMAP is really about housekeeping and making the array reporting accurate instead of actually preventing out of space issues, as hosts will just overwrite the dead space eventually. You can still allocate 90 GB on the VMFS, regardless to how much the array currently reports. What matters is what VMFS says. FlashArray reports the volume uses 30 GB and VMFS reports 30 GB too. This means the VMFS isn’t very full and it isn’t reducing at all. Since there is a lot of free space on the VMFS there is a high chance there could be lots of dead space. So it is also possible that it is actually reducing well, but there is a lot of poorly-reducing dead space which makes it seem like it isn’t reducing well. UNMAP could be tried here. It may help reduce the FlashArray volume footprint. FlashArray reports the volume uses 90 GB and VMFS reports 90 GB too. This means the VMFS volume is rather full and is not likely reducing well. Since there is very little free space on the VMFS, there is a smaller chance for dead space on the VMFS itself. Though it is possible that there is poorly-reducing in-guest dead space. Okay, so what? Well in the end this is all very simple. If you VMFS is full, you should think about increasing the volume size to provide more capacity for VMFS to allocate. There is no need to size volumes based on data reduction expectations or resize based on data reduction reality. Size volumes based on how much you expect to allocate. If you are using thick virtual disks, this will be much more up front. How much free space does your VMFS have. How much free space does your FlashArray has. Use large volumes–there is no capacity penalty to provisioning large volumes on the FlashArray. Since there is no per-device queue limit there isn’t a performance implication on the FlashArray either. Use Storage DRS. Create a datastore cluster for your datastores on the same array. Turn on capacity-based moves and make a % threshold that will have SDRS move VMs between the datastores if the % gets too high on one of them. If all of them are too full and SDRS cannot do anything anymore to help, it is time to add storage in some way. Use vCenter capacity alerts for VMFS. If your capacity alert for SDRS is 75%, make an alert for the VMFS that triggers at 90% (for instance) that either automatically kicks off a VMFS volume expansion (I blogged about how to do that automatically here) or have it send you an email so you can do it yourself as needed. Or provision a new volume and add it to the datastore cluster so SDRS can re-balance. After UNMAP if the FlashArray is still relatively full, it is time to buy more SSDs for the array or look at balancing across other FlashArrays you might have. 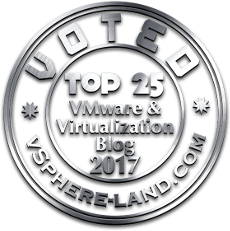 Use VVols. With VVols, VMFS goes away and virtual disks are volumes and therefore the FlashArray controls the capacity reporting and management and there is no more disconnect. This is really the best option as VVols have a lot of benefits beyond this. The final thing is that what matters is how full VMFS thinks it is. Even if the FlashArray volume is empty, if VMFS is fully allocated it needs to be increased or you need another volume. This is axiomatic. Data reduction on the array does not change how VMFS sizing is done. It is the same as before. If you are provisioning thick you need larger volumes now. If you are using thin, you can make them smaller. But why not just make them larger now?